Save money on car and campervan rentals! The concept is simple: relocate rental cars and drive them for free! Some car rental companies need cars and campervans moved from one branch to another. It’s cheaper for these companies to get travellers to do the job of relocating rentals for them, while the traveller saves a bit of money. Sounds like a win-win! Although you can’t rely on this transportation method for your entire gap year or working holiday in New Zealand, car relocations are ideal for a quick one-way trips. This guide will tell you how car relocation works in New Zealand, along with the pros and cons of using this system. Before you hit the road, make sure you have a legal driver license. Find out more in How to Drive in New Zealand and Why You Need an International Driving Permit for New Zealand. Which rental companies do car relocations? We’re glad you asked, because here is a list of them linking you to their relocation pages. Easy! Car rental companies: Jucy, Thrifty, Apex, Maui, Omega, Ace, Budget, Rental Car, Spaceships, Cheapa Campa, Apollo Camper, Wilderness, Avis, Hippie Camper, Britz, Go Rentals, and Quality Rental. How does car relocation work? The idea is pretty easy. Just remember your trip is determined by the pick-up and drop off points decided by the rental company, not you. Step 1: Check for availability of cars and campervans on rental websites and book online. Step 2: Pick up the car from the specified pick up point. You will likely have to pay a bond for the rental. Some rental companies will only accept credit card. Otherwise, your car rental is free or at least dirt cheap! Step 3: Drive to the specified drop off location sticking to the requirements outlined in the terms and conditions. Basically, stick to the number of free days given to drive the car. 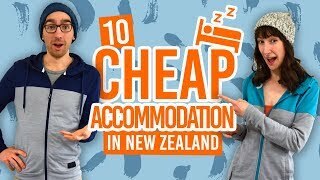 Renting a car is not the most friendly to a tight budget, but many backpackers dream of road tripping in New Zealand. It offers freedom and flexibility that other means of transport cannot offer. Car relocations offer a solution to saving money by offering free rentals, or cheaper rentals – some are as little as NZ$1 a day! Some rental companies will throw in some extra free stuff, such as a tank of fuel, unlimited km (distance) and insurance. Although there are a limited number of days you can hire the car or campervan, you may be able to hire the vehicle for some extra days at normal rates giving you more time to explore. This too-good-to-be-true deal comes with some limitations. Of course, rental companies aren’t just going to give free rental cars to people without a few limitations. What is included in car relocation differs from company to company, so it’s best to always compare companies and read the terms and conditions. Km allowance – some rentals have a limited distance you can drive meaning you can take less detours on your road trip. Extra charges may incur per km. Limited days – with all car relocations there are a limited number of days you can drive the car for free. It is generally from 24 hours to six days! That’s usually not much time for sightseeing, but it may be worth paying for an extra couple of days if the company allows it. Fuel cost – in many cases, car rental companies will pay for one tank of your fuel, but you may have to pay for extra fuel for long-distance trips. In other cases, no fuel is included at all so you will have to factor that into your budget. There are more offers from south to north – as people tend to rent their vehicles to drive down south. Mostly limited to the locations of Auckland, Wellington, Christchurch and Queenstown. Check if the cost of the ferry is included if you are going between the South Island to the North Island. Insurance – this is usually at an extra cost, if you want full protection (no excess to pay in case of an accident), but basic insurance is always included. Availability of cars to relocate differs between seasons. All those details are clearly explained on each car relocations offers displayed on the aggregator of all the car relocations: Transfercar so you know where you stand. Car relocation will only take up a maximum of five days of your New Zealand trip! Check out our other articles on the other methods of transport and transport tips in New Zealand.